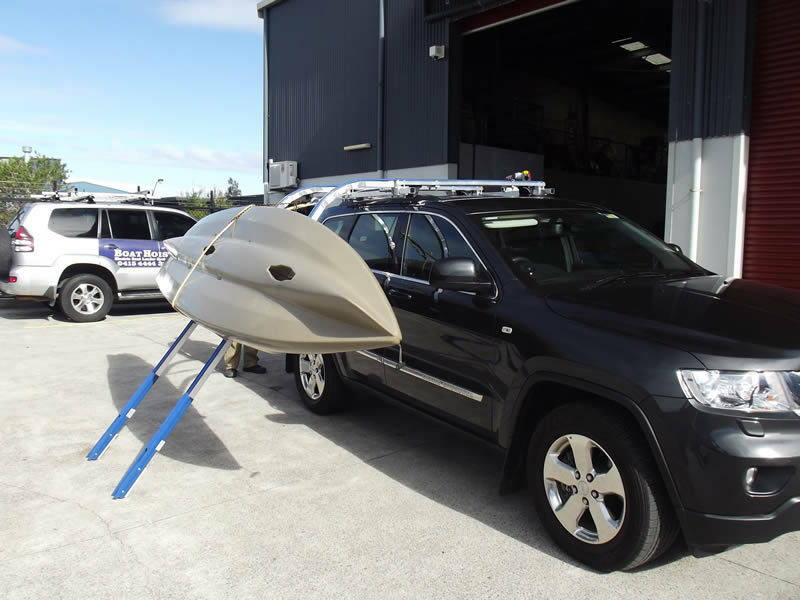 Need Top-of-the-Line Kayak Loaders for Roof Racks? 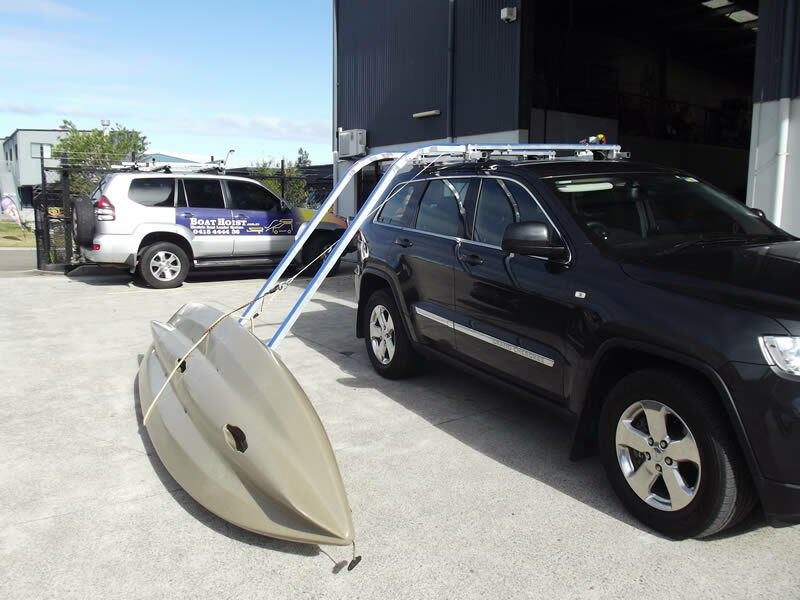 The SideWinder Kayak Loader is an electric kayak loading system that bolts directly to your existing heavy duty roof racks. Designed for one-person operation you can load or unload your fishing kayak in less than 5 minutes. There is no physical lifting because this side kayak loader uses a 12 volt electric winch with remote control. 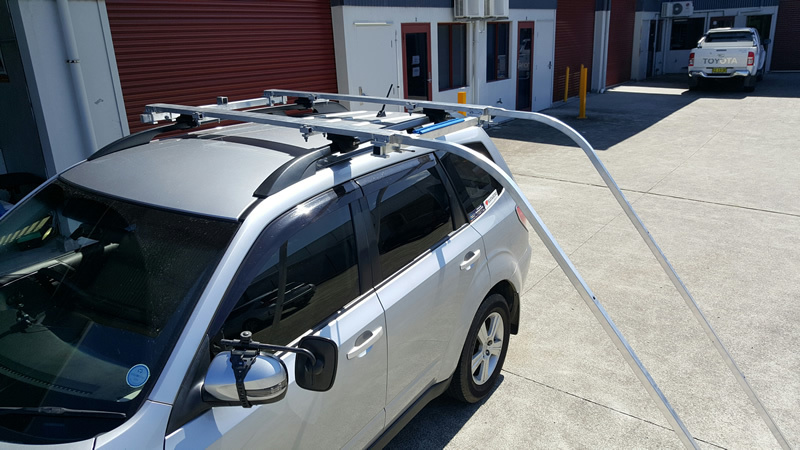 The SideWinder Kayak Loader is very easy to fit and simply bolts to your existing roof racks. 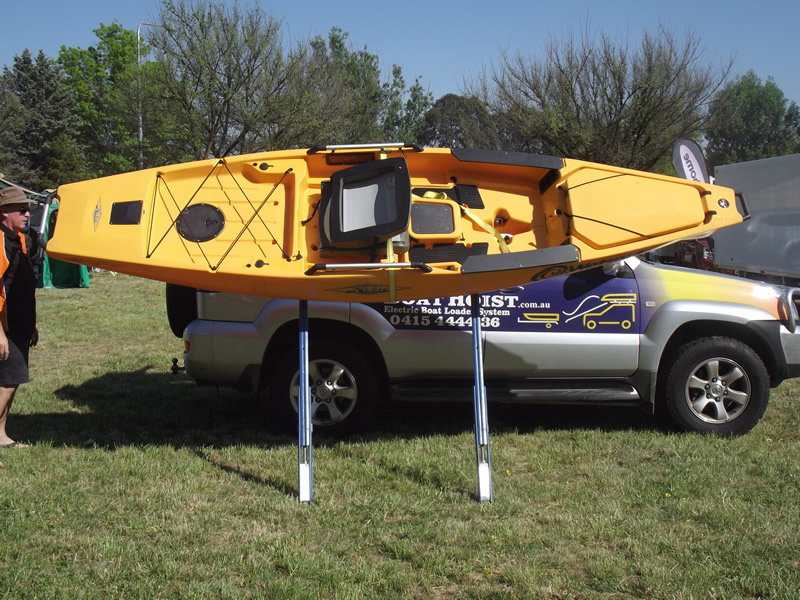 The system adds only 15kg to your roof load and will carry up to a 100kg kayak. The SideWinder Kayak Loader has been designed so that the average home handyman can fit the loader in about 2 hours. Robust light weight aluminum frame. 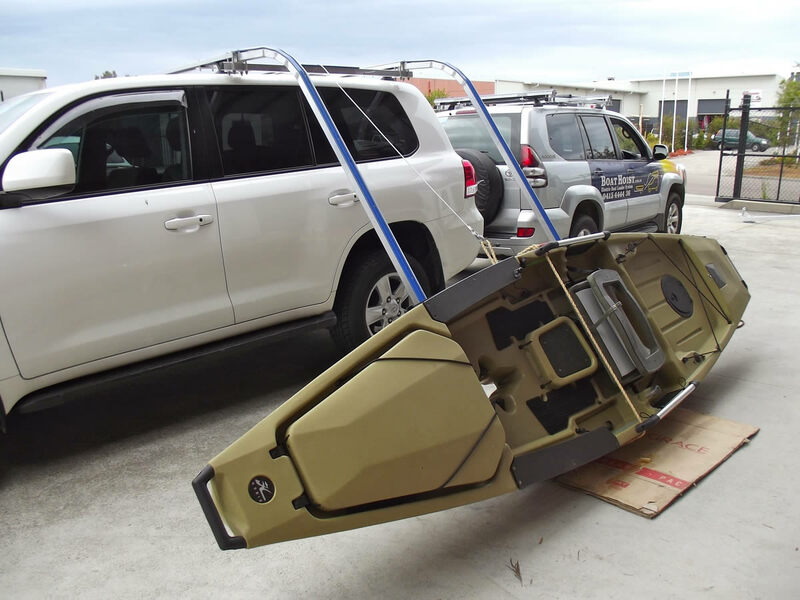 We supply our SideWinder kayak loading system direct to our customers so you are dealing with the manufacturer NOT a salesman. The SideWinder can be freighted direct to your door in all Australian states or you can pick up. We also offer a fitting service at our Nelson Bay workshop (charges apply). Total rooftop load should not exceed vehicle and roof rack manufacturers specifications.